Students across the country have aspirations to learn and use the Arabic language in their careers. The Language Flagship is one path to making that goal a reality. The Arabic Flagship at BYU offers the remarkable opportunity for students to experience the Eastern and Western Arab world, offering both a four-month program in Jordan and a year-long capstone experience in Morocco. Trace your learning trajectory across the world, from novice to advanced, and beyond. Click on a location to learn more about each opportunity. 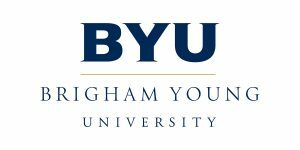 Copyright 2018 - Brigham Young University - All Rights Reserved.